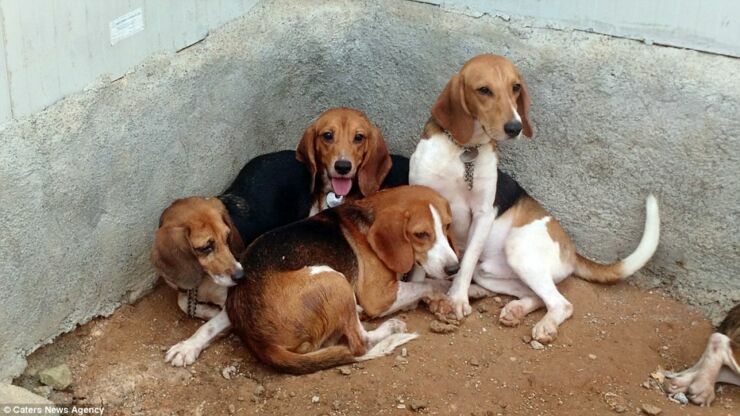 These beagles have spent their lives in an animal testing laboratory in Bangalore, India. And this is the moment they were finally set free, all 156 of them. The dogs, who range in age from between two and five-years-old, have up until now known nothing else but the inside of the facility. 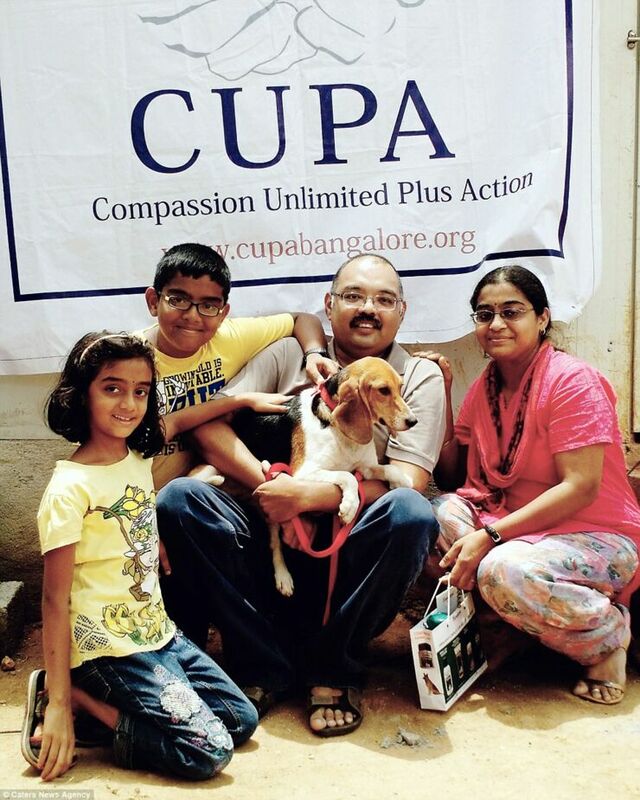 Born and bred there they had never even seen sunlight, that was until activists from Indian NGO Compassion Unlimited Plus Action who look after badly treated animals secured their release. 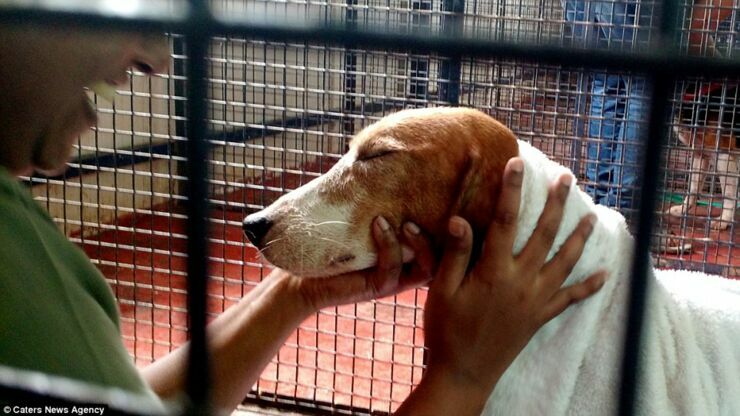 The organisation said the beagles were kept in cages in the dark and fed irregularly. 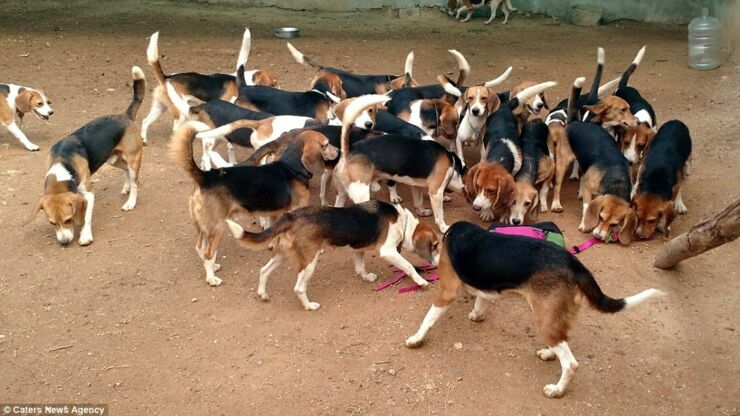 All this changed however when the Indian government turned down the lab's request to continue to use the beagles for experiments—they were testing cosmetics on them, which isn't banned in India—and required them to set the dogs free. And they certainly look happy running about that yard, that's not to say their time in captivity hasn't left its mark though. "They are still hesitant to meet people. 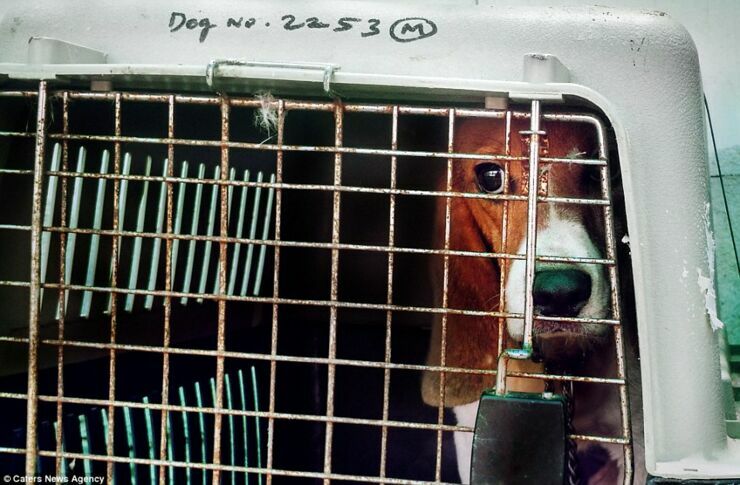 When they came out of the lab, they were visibly terrified. They were always kept in the dark and did not know about the outer world," Chinthana Gopinath, a volunteer at the NGO told The Daily Mail. "Some could not even walk properly and were wobbling as they had never walked! 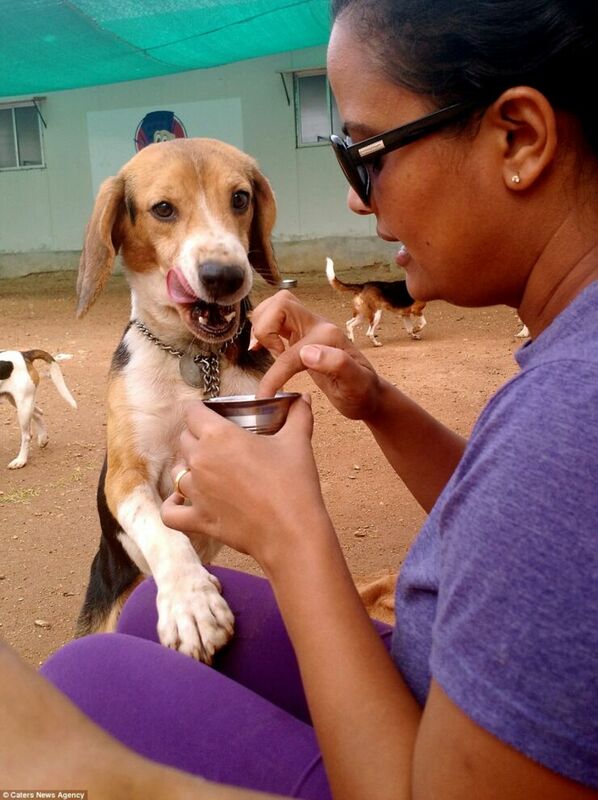 They looked for dark corners and hesitated when our volunteers approached them. But thankfully none of them were sick." Since they've been rescued 26 of the dogs have been adopted and it's hoped that all of them will find new homes and a loving family to look after them.